As districts across the country brace themselves for low student scores on tough Common Core tests this spring, the staff at Sturgis Charter Public School in Hyannis, Massachusetts, isn’t sweating it. On state assessments, their students have been outperforming peers at other schools — with 10th-graders, for example, ranking first in English language arts, 12th in math, and sixth in science in 2014 — and it’s not because they’ve been prepping intensely. He said it’s all about how you define success: Is it by a test score, by growth or by putting forth your personal best? Sturgis focuses on the latter, and has faith that the test scores will follow. IB schools, as they’re known, are springing up around the country. Since 1999, the number of U.S. schools offering IB programs for students age 3 to 19 has grown from 300 to 1,698. Diversity is a centerpiece of the program’s educational philosophy, and “IB for All” is its rallying cry. “All” includes groups that lag behind on standardized tests: students with learning disabilities, those from low-income backgrounds and students learning English. 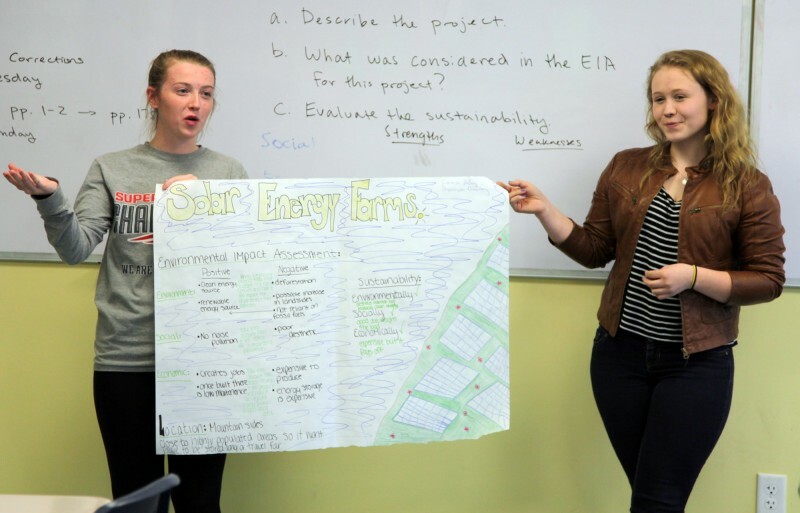 Yet while educators, like those at Sturgis, say IB’s rigorous curriculum can prepare all students simultaneously for standardized tests, college, and career, others say not so fast. Teachers worry* the new Common Core tests still rely heavily on multiple-choice-type questions that don’t reflect the rigor of the IB curriculum or, for that matter, the Common Core standards. This disconnect could be harmful to students in groups that have traditionally underperformed on standardized tests, especially as these tests become the primary tools for measuring student performance. Currently 43 states and the District of Columbia have adopted the Common Core standards, which were developed in 2009 with the goal of injecting rigor into U.S. schools to better prepare students for college and careers. The architects of the Common Core looked to IB, an exemplar of college readiness for nearly 50 years, as their model. At first, IB educators were happy. They found Common Core benchmarks to be on par with many of the goals of international baccalaureate curricula. But as states began to administer tests tied to the Common Core standards in the 2014-15 school year — including the two funded by the Obama administration, Smarter Balanced and the Partnership for Assessment of Readiness for College and Careers, or PARCC — some IB educators said that on close inspection they are just glorified multiple-choice tests. 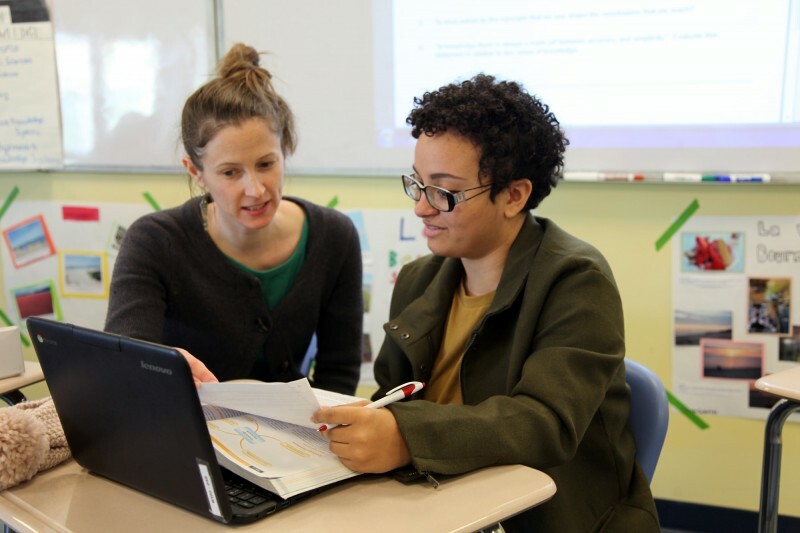 “You can’t separate the Common Core from the way it is tested,” said John Murphy, principal of South Side High School in Rockville Centre, New York, where IB courses are open to all students regardless of grade-point average. The fear is that the students most in need of support will fail and get stuck in an endless loop of remediation. If they fail the Common Core math test, for instance, they may not be allowed to take IB math; they may not even be able to graduate. The Common Core tests contain multiple-choice questions and some writing tasks that don’t measure up to the ambitious Common Core education goals with which they are supposed to be aligned. From the perspective of some IB educators, the tests don’t reflect the skills they are teaching every day. If students are taught to question what they’ve learned and reflect on the source of their knowledge, why should they be judged by a test on which they must choose from among several pre-fab answers? From 1999 to 2016, the number of U.S. schools offering IB programs for students age 3 to 19 grew from 300 to 1,698. The IB exam never directly tests reading. Instead, IB teachers treat reading as a purposeful activity that can’t be reduced to discrete skills. 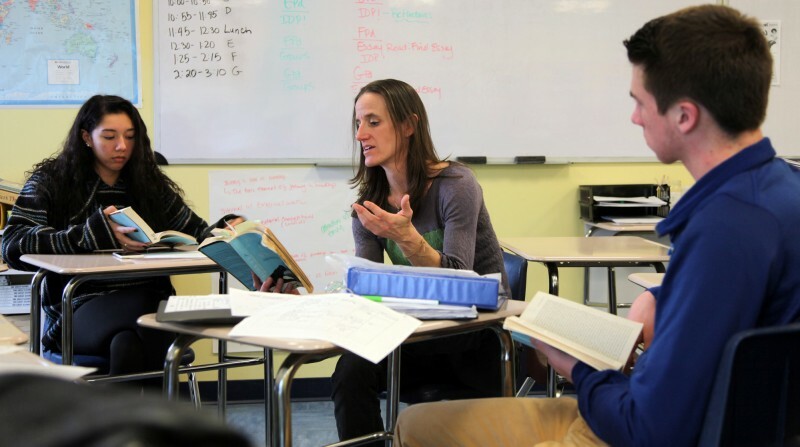 Students read challenging texts — Hamlet, The Great Gatsby — in class, then take an oral examination in which they argue a point one-on-one with their teacher about a particular passage from one of the texts. This makes IB assessments far superior to Common Core tests, according to Carol Burris, author of Opening the Common Core and the former principal of South Side High School. “Common Core standards address kids’ ability to present themselves clearly when they speak, yet there is none of that on the Common Core English test,” said Burris. “IB assessments require entirely different preparation.” And all students, not just the ones who can pass Common Core tests, deserve the rich experience that an IB education can provide, Burris added. The Common Core tests are also constrained in another way: cost. The more sophisticated IB tests aren’t cheap, costing up to $113 per subject. That’s because they are labor intensive. The written essays are scanned and sent to examiners all over the world to be graded. And those oral exams that students take? Teachers record them and send randomly selected conversations to trained IB examiners for grading. If the teachers’ grades are on par with IB’s standards, no problem. But if the teacher is being too difficult or too easy, the scores are leveled up or down. Despite these concerns, IB teachers are going on with instruction as usual — and meeting the Common Core’s high aspirations. Gail Cerelli, the IB coordinator for the Casita Center for Technology, Science, and Math (a K-5 school in Vista, California), isn’t worrying about the test. She and other teachers regularly work together to create curricula that align with IB and Common Core standards. She points to a fourth-grade project on immigration as an example. The class invited parents who had immigrated from Sicily, Germany and Mexico to come to the school. Students interviewed them about what it was like in their birth countries and why they came to the United States. As a culminating activity, students wrote narrative essays about the journey to America from the point of view of an immigrant. The project hit many Common Core standards, including those for speaking and listening and writing narrative essays. That the project was global in scope and sought to reach an understanding of other cultures satisfied IB goals. “If you are providing kids with rich curricula that allows them to think critically on a daily basis, the test will take care of itself,” Cerelli said, echoing the point of view of many educators at Sturgis. Last year, Casita’s students scored significantly higher on Common Core tests than students from other California school districts. That feat was particularly impressive considering that more than 60 percent of the school’s students are low-income and more than 33 percent are learning English. Back at Sturgis — where 12 percent of students are from disadvantaged backgrounds and 11 percent have learning disabilities — students are considering the creation of the national bank from different perspectives in history class, analyzing E. B. White’s essays in English class, developing environmental impact assessments in science class, and reflecting on how they know what they know in theory of knowledge class. Last year, according to school officials, 210 Sturgis seniors took an average of six IB exams each, and 137 completed all of the requirements for a full IB diploma. Of those seniors, 29 were on individualized education plans, which spell out the strategies schools use to help students who need extra support. Those 29 took an average of five IB exams each, and were largely successful. The fact that the students did the work to prepare for and then tackle these tough tests is a point of pride for Sturgis’ staff. These numbers, coupled with high student scores on standardized tests, give Sturgis educators confidence in their approach. As long as teachers are challenging students, asking them the right questions and pushing their learning to its maximum potential, the Common Core test scores will take care of themselves. But the real proof for IB educators that their approach is effective? 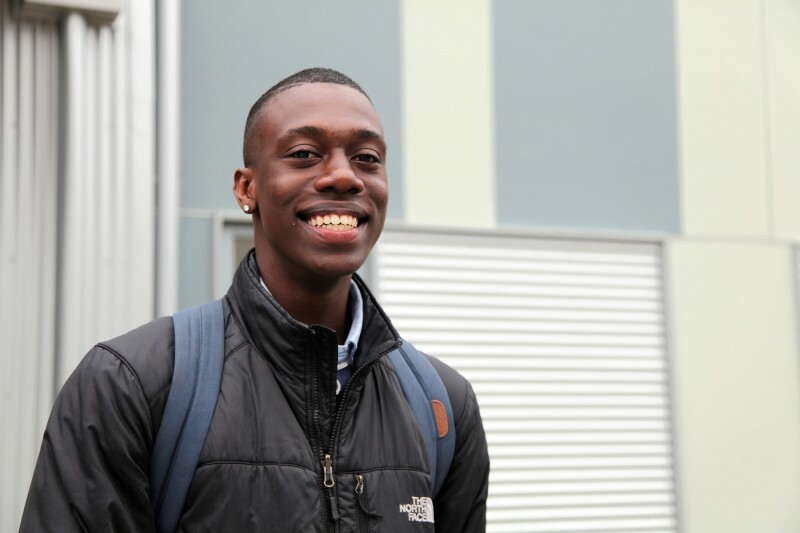 Sturgis graduates get accepted to top schools — including New York University, Boston University and University of Massachusetts Amherst — and they return to talk to current students about their success and how Sturgis helped them achieve it. For Abby Rhoads, an English teacher at Sturgis, the Common Core standards seemed intuitive, so she didn’t feel she had to adjust the way she taught her classes. As far as the Common Core tests go, she maintains that IB instruction is great preparation. Those pesky multiple-choice questions? That’s just close reading, “and that skill becomes rote for our students,” she said. *Clarification: This story has been updated to attribute concerns about the Common Core tests to teachers and include Carol Burris’s new role at the Network for Public Education.